Designed by the renowned Rem Koolhaas, Timmerhuis is an architectural giant that connects the old with the new in the City of Rotterdam, The Netherlands. Timmerhuis' beating heart for sustainability hasn't gone unnoticed. In fact, it's the first multi-use building in The Netherlands to receive the prestigious BREAAM Excellent certification. Timmerhuis is a "meeting point". Through an indoor passage, residents and visitors can move around freely from the city’s one area to the other. Most of all, it serves as a work place and apartment complex, as well as a social space to shop, eat and drink. Sustainability is undeniably key to Timmerhuis. Triple glass isolation, temperature regulators and storage, and energy efficient elevators are just a few features within its impressive portfolio. In addition, Timmerhuis regulates built-in installations based on a seasonal basis. This ensures an optimal and economical consumption of energy. With these measures, Timmerhuis has become the first multi-use building in the country to receive a BREEAM Excellent **** certification. Rotterdam profiles itself as a testing playground for innovations and pilots. For the past few years, the Municipality started stimulating the adoption of electric vehicles. After all, electric cars are clean and cost effective. To propel drivers onto the electric route, Rotterdam is now placing a network of 2,000 charging points. This number is set to increase in the near future, as Niels points out. It’s Timmerhuis’ ambition to help the city in this and many other sustainability projects. This is why its real estate developers have placed 20 EV-Box charging points at its spacious indoor parking lot. Timmerhuis’ charging stations are configured with EV-Box’ Smart Charging technology. 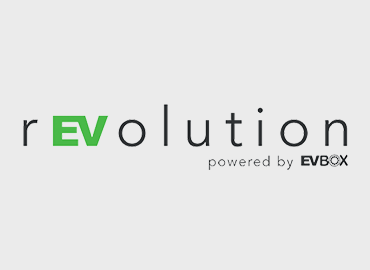 Smart Charging defines a set of technical configurations that enable EV-Box charging stations to act on user behavior and the availability of power per location. At Timmerhuis, Smart Charging helps to distribute the electrical capacity proportionally over its 20 charging points. This should keep the power consumption within the building’s guidelines. In addition, it helps Timmerhuis to get the most out of its charging facilities, with significant savings in times of peak demand and high electricity rates. For a place like Timmerhuis that prioritizes energy efficiency, Smart Charging has become an indispensable tool. We’d like to thank Timmerhuis for its tremendous contributions to a greener, more sustainable future. Special thanks to Liane Fix, Niels Kurver and Leon Wielaard, who have helped us draft this case study.